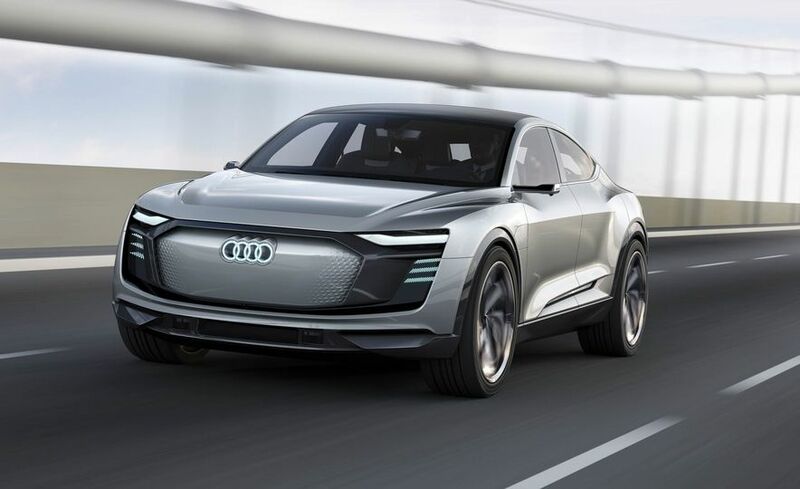 German automobile maker Audi has recently confirmed that their second ever electric vehicle, the e-tron Sportback concept is on its way to production. The e-tron Sportback concept was originally revealed during the 2017 Shanghai auto show, and according to the recent announcement, the production version will have the same name and arrive sometime during 2019. The vehicle will be assembled at Audi’s plant in Brussels, Belgium. Audi says that their confirmation of the e-tron Sportback shows that the company is taking electric vehicles seriously. Many German luxury vehicle brands have been reticent to adapt to electric vehicles. For instance, Porsche said a while back that electric powertrains did not offer the performance expected of the brand, before eventually making an investment in electric vehicles with the Mission E. BMW also allegedly uses slideshows from Tesla to motivate (scare) their workforce into future proofing their vehicles. The e-tron Sportback will have a single electric motor in front and two motors at the rear for propulsion. The system is estimated to be capable of around 430 hp, but can get up to 500 hp with a temporary power boost. The vehicle will utilize a 95 kWh lithium-ion battery pack, and is expected to have about 250 miles of range. Production of the e-tron Sportback will occur after production of the regular Audi e-tron SUV, which will start production in 2018 at the same plant in Brussels. The e-tron SUV will have similar specs including the same 95 kW battery pack, and a similar range. The new announcement strengthens Audi’s new commitment to electric vehicles. 2018 will have the regular e-tron roll out, followed by the Sportback in 2019, and a third as yet unnamed electric vehicle from the company will debut in 2020. Audi has said that their third electric vehicle will be a city car that will rival the BMW i3. It’s a good bet that Audi will focus first on its more conventional products, before delving into a niche line of sports cars with electric powertrains, one of which is said to be a competitor to the BMW i8.